There are at least three potential causes for ill health for people with normal healthy immune systems after coming into contact with damp and moulds: infection, allergy and toxicity. When moulds are disturbed, mould particles (spores and other debris) and volatile chemicals are readily released into the air and can be easily breathed into the lungs and sinuses of anyone nearby. These particles & chemicals commonly cause allergies (incuding sinus allergies) and occasionally cause allergic alveolitis (hypersensitivity pneumonitis). Rarely, they can become established and grow in small areas such as sinuses – occasionally even in the lungs themselves (CPA, ABPA). Most recently it has become clear that damp, and possibly moulds, can cause and exacerbate asthma. Many moulds can make various different kinds of toxins that have a range of effects in people and animals. Mycotoxins are present on some of the fungal material than can be dispersed into the air, so it is possible that these can be breathed in. Some allergens are known to be toxic. Current evidence suggests that not enough mycotoxin can be breathed in to cause problems directly related to its toxicity – there have only been two or three undisputed cases ever reported and only one in a mouldy home. The likelihood of toxic health effects (i.e. not allergies) caused by inhaling toxic allergens is as yet very unsure. All of these may contribute to respiratory difficulties. In addition to those illnesses noted above we can add the following illnesses that have a strong association (one step away from being known to be caused by) respiratory infections, upper respiratory tract symptoms, cough, wheeze and dyspnoea. There may be as yet undefined health problems that seem to accumulate from long term exposure to ‘toxic moulds’ in a damp home, but these are far from having good evidence to support them as yet. What is the evidence that damp causes these health problems? There is a ‘definitive’ list (see above) of illnesses that are judged to have adequate support from the research community for us to look at in detail, but several others do not have enough support for the scientific community to make a decision. Why worry about this? There is a long history of various researchers in the past assuming that an obvious cause of an illness was the true cause and this has prevented progress to a cure. One example is of malaria. We now know malaria is caused by a tiny parasitic worm transmitted by blood sucking mosquitos (a discovery made by Charles Louis Alphonse Laveran, for which he received the Nobel Prize in 1880). Prior to this time it was assumed that, as people tended to get malaria in parts of the world that had plentiful swamps and generally smelt badly it was the ‘bad air’ that caused the illness. Years were wasted trying to prevent malaria by removing the bad smell! How to we prove cause and effect? This is a complicated subject that has received a lot of attention since the first disputes on whether or not smoking tobacco caused cancer – see a detailed discussion of this here. This dispute led to the publication of the Bradford Hill criteria for a causal relationship between the cause of a disease and the disease itself. Even so, there remains much room for debate and opinion forming – a potential cause of an illness is still a matter for individual and group acceptance in the medical research communities. Studies involving human volunteers or experimental animals exposed in controlled circumstances, occupational groups or clinically. Most of these studies are based on small groups of individuals, but both the exposure and the clinical outcomes are characterised better than they are in the epidemiological studies. Indicates what symptoms might occur if conditions are right. Used to support epidemiological evidence. Is not sufficient by itself to prove cause or effect, but is useful to demonstrate how certain symptoms may occur under particular circumstances. If there is no epidemiological evidence, then there is no suggestion that the conditions needed for a particular symptom actually occur under ‘real life’ conditions. What health effects are we quite sure are caused by damp? 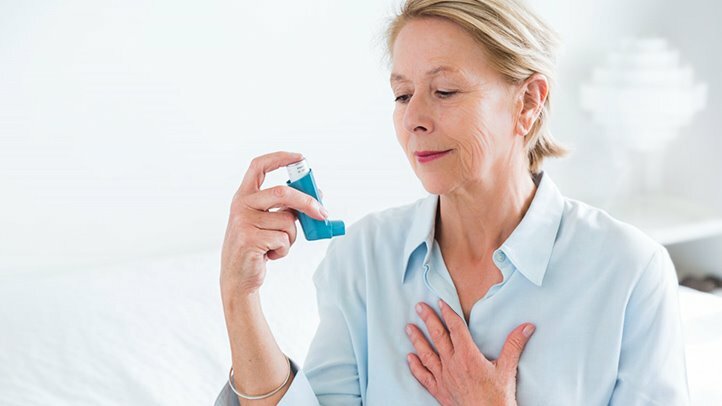 A recent update of the Institute of Medicines review of indoor environmental exposures has stated that asthma development, asthma exacerbation (worsening), current asthma (asthma happening right now), are caused by damp conditions, probably including moulds. Quoting the earlier WHO report, there is “sufficient evidence of an association between indoor dampness-related factors and a wide range of respiratory health effects, including respiratory infections, upper respiratory tract symptoms, cough, wheeze and dyspnoea“. We can add hypersensitivity pneumonitis to this list after Mendell (2011). The mechanisms by which non-infectious microbial exposures contribute to adverse health effects associated with indoor air dampness and mould are largely unknown. In vitro and in vivo studies have demonstrated diverse inflammatory, cytotoxic and immunosuppressive responses after exposure to the spores, metabolites and components of microbial species found in damp buildings, lending plausibility to the epidemiological findings. Dampness-associated asthma, allergic sensitisation and associated respiratory symptoms may result from repeated activation of the immune defences, exaggerated immune responses, prolonged production of inflammatory mediators and tissue damage, leading to chronic inflammation and inflammation-related diseases, such as asthma. The observed increase in the frequency of respiratory infections associated with damp buildings might be explained by the immunosuppressive effects of damp building-associated microbes in experimental animals, which impair immune defences and thus increase susceptibility to infections. An alternative explanation might be that inflamed mucosal tissue provides a less effective barrier, increasing the risk of infection. Various microbial agents with diverse, fluctuating inflammatory and toxic potential are present simultaneously with other airborne compounds, inevitably resulting in interactions in indoor air. Such interactions may lead to unexpected responses, even at low concentrations. In the search for causative constituents, toxicological studies should be combined with comprehensive microbiological and chemical analyses of indoor samples. Microbial interactions must be carefully considered when evaluating the possible health effects of exposure in damp buildings. Differences in the concentrations used in studies with cell cultures or experimental animals and those that may be reached by human beings should also be kept in mind when interpreting the findings. In interpreting the results of studies in experimental animals in relation to human exposures, it is important to consider differences in relative doses and the fact that the exposures used for experimental animals may be orders of magnitude higher than those found in indoor environments. Residential dampness is associated with a 50% increase in current asthma and substantial increases in other respiratory health outcomes, suggesting that 21% of current asthma in the United States may be attributable to residential dampness and mould.